Wedding PR: Money Under 30, Honeybook, and more! Happy Halloween everyone! We are so excited to share another great client roundup including Money Under 30, Honeybook, Special Events, and much more. See it all below! 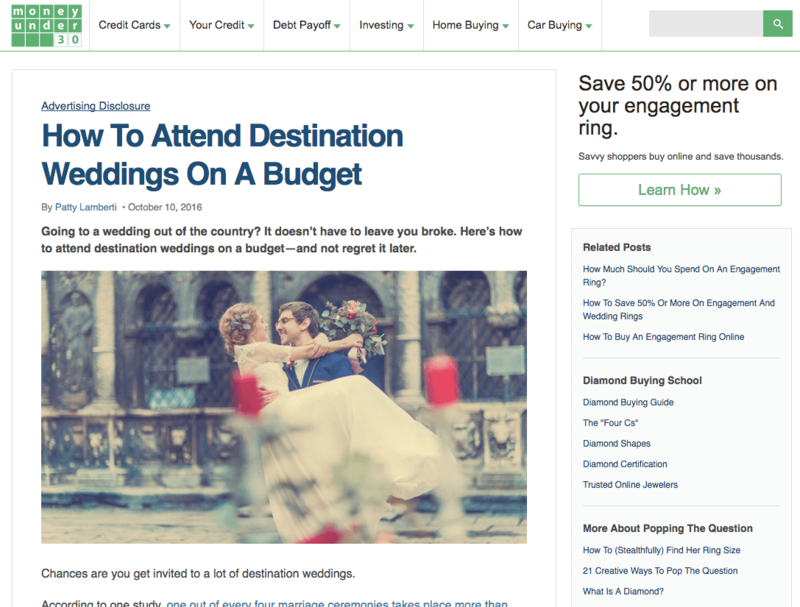 Destination Weddings was featured on Money Under 30 as expert commentary in the article How to Attend Destination Weddings on a Budget. See the full article here. 100 Candles was featured on Honeybook with their guest blog Making the Most of Wholesale Relationships as a Creative. See the full feature here. Fantasy Sound Event Services was featured on Special Events with their guest blog Top Tech Apps – Part III. See the full article here. Cescaphe Event Group was featured on Borrowed & Blue with a real wedding in Philadelphia. See the full feature here. Taylor’d Events Group was featured on Honeybook with their guest blog How to Bounce Back from a Crisis. See the full article here. OFD Consulting was featured on WeddingWire EDU the guest post How to Take Home More Industry Awards. See the full feature here. Fantasy Sound Event Services was featured on Honeybook with their guest article Top Tech Apps to Streamline Your Creative Business. See the full article here. Taylor’d Events Group was featured on Special Events in the guest blog The Key to Pricing Your Work and Knowing Your Value. See the full feature here. Belladeux Event Design was featured on Emzara in their guest article Managing Personalities with Wedding Planning. See the full article here. OFD Consulting was featured on Catersource with the guest blog Embracing B2B Media. See the full feature here.